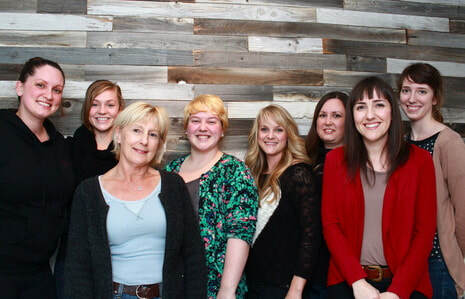 The 2018 cohort of Future Doulas has been selected. Become a member of WHMS today to receive updates about upcoming application periods. 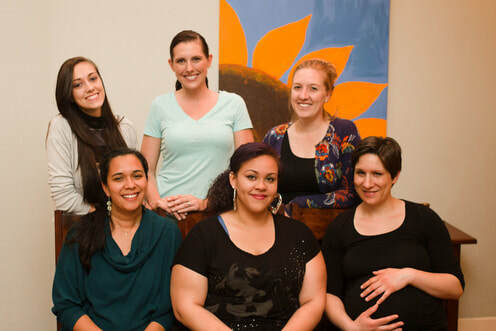 Following the 8-week training, Apprentice Doulas attend at least 3 client cases (including 2 prenatal visits, the labor and birth, and 2 postpartum visits for each client) with a Mentor Doula from our organization. When our Apprentice Doulas have attended 3 mentored births, they will begin to receive referrals for births through our organization. A minimum of 6 client cases in full must be completed for graduation from the program. 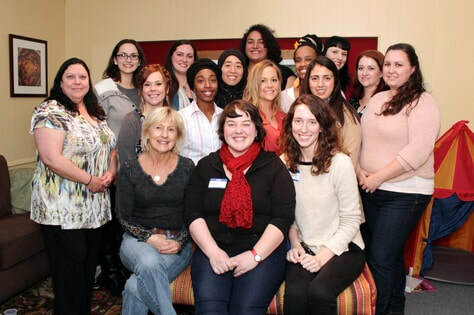 Participants in the Future Doulas branch of the Apprentice Program also receive individualized mentoring regarding complex cases and doula business management. 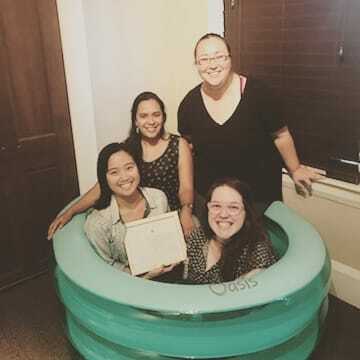 Ana Franklin (center) graduated from our Apprentice Doula program in May of 2018! She is pictured here with WHMS Treasurer Chloe (left) and President Madeleine (right). 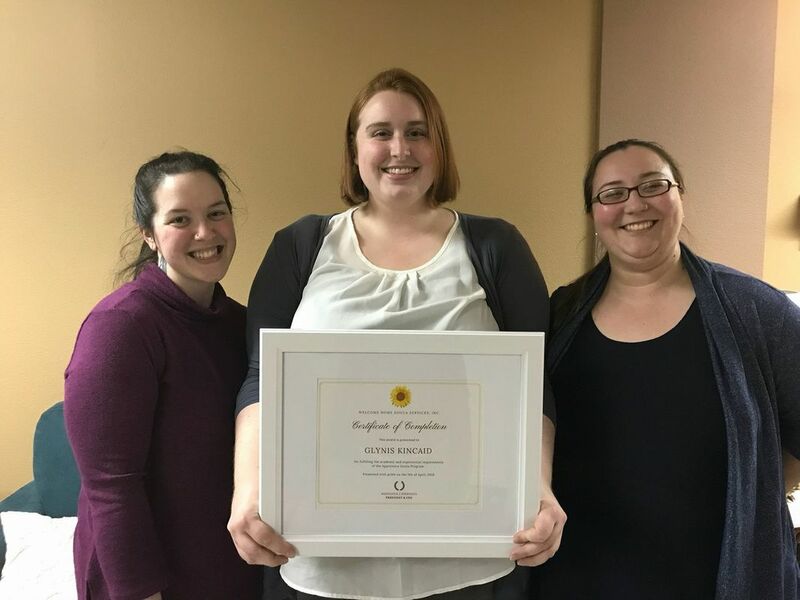 Glynis Kincaid (center) graduated from our Apprentice Doula program in April of 2018! She is pictured here with WHMS President Madeleine (left) and Treasurer Chloe (right). Thuy Do (bottom left) graduated from our Apprentice Doula program in July of 2018! She is pictured here with (clockwise from Thuy) WHMS Mentor Doula Stephanie, Treasurer Chloe, and President Madeleine.